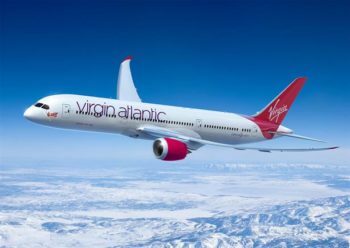 Special HFP reader offer as BA Redemption Finder expands to cover Virgin Atlantic! This is our review of the ‘new and improved’ Reward Flight Finder website. The most useful for UK residents, however, was arguably BA Redemption Finder. BA Redemption Finder was the quickest way of checking Avios availability for British Airways flights. 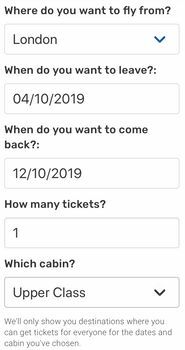 The great news is that, as of last weekend, it is also the quickest way of checking Virgin Flying Club availability for Virgin Atlantic flights! 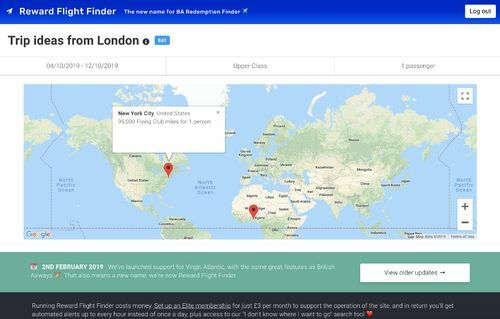 This has meant a change of name, so BA Redemption Finder is now Reward Flight Finder and lives at rewardflightfinder.com. The best bit is that the site is free if you don’t need the advanced features. How does Reward Flight Finder work? Reward Flight Finder is a website not an app, but is optimised for both mobile and desktop. It gets even better. You can set up hourly email alerts for a fee of £3 per month. 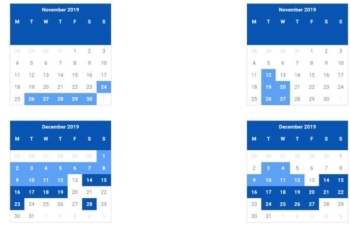 Set a date range, route, class and number of passengers and you will be notified when seats become available. Free email alerts are also available if you are happy with daily checking – although to be absolutely certain of getting any seats that come up, the £3 per month route is better. 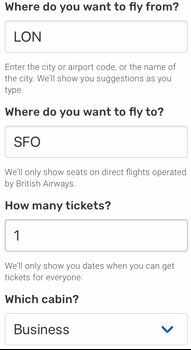 Reward Flight Finder is so smart that it even, for British Airways searches, shows the extra economy Avios seats made available to BA Gold members. It does not show oneworld or Virgin Flying Club partner airlines – so for BA it is best used to check availability when you want to use an Amex 2-4-1 voucher. If you are not using a 2-4-1 voucher you should use ba.com instead as it will show you Qatar, Finnair, Royal Jordanian, American etc as well. For Virgin, you will need to use their website if there are also Delta services to your destination. These are mainly trivial points, however, in the context of what is an amazingly fast and usable site. Tim, who runs the site, added a new feature late last year. You can now search BY DATE. The site will show you EVERY BA or Virgin route which has Avios or Flying Club availability in the class of your choice for those dates. Obviously you still need to do some work. 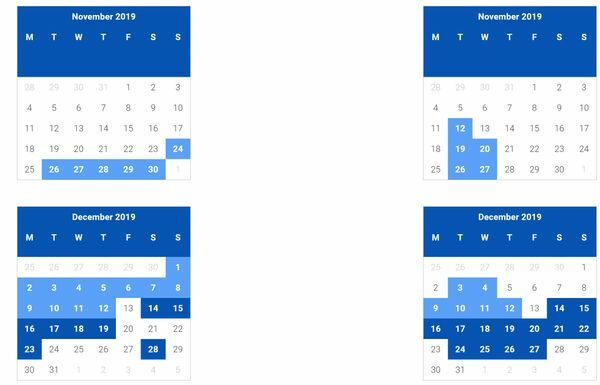 As well as searching Saturday to Sunday, for example, you would also want to check Saturday to Saturday, or possibly Friday to Sunday. For BA, I would also want to look at First Class as well as Business Class. There is no option to mix classes, so if you would be happy with that you’d need to do separate one-way searches and try to match places where you can get, say, Business outbound and First back. This is a real breakthrough for everyone who complains “I can’t find anywhere to go”. If you are restricted on when you can travel, this service will solve your problems. The “I don’t know where I want to go feature” is NOT free. You need to sign up for the £3 per month subscription (but see our HFP reader offer below) which also gets you hourly searching of your redemption requests instead of daily. A special Reward Flight Finder subscription offer for HFP readers! Tim has set up a special offer for Head for Points readers which will let you have a month of Elite membership for just £1. This will give you plenty of time to try out the “I don’t know where I want to go” feature and also to benefit from hourly checking (instead of daily) of your redemption requests. If you don’t want to carry on after a month, there is a big “Cancel my Elite membership” button on the site home page – Tim doesn’t make it tricky to cancel. The link you need for the HFP £1 trial offer is https://rewardflightfinder.com/head-for-points. BA Redemption Finder was already an excellent tool and, now that Virgin Atlantic functionality is added, it is doubly useful. I think Tim has done a great job in creating something in his spare time which is better than anything British Airways or Virgin Atlantic have managed to create with full time IT teams …. Transferring hotel points to airline miles ... when is it worth it? The ‘offer’ is worth £2 ? And Rob’s HFP readership is generally speaking HNW’s? That’s true. I saw that Peter Jones fella of TV’s Dragons Den buying up all the 3V Cards at Tesco. I totally agree with you though. And I’m not getting a penny out of this, for clarity. A sweetener indeed, as the saving certainly wouldn’t buy you the actual tea or coffee. I have enough BA miles in the household account to book a business class flight and use the 2 for 1 voucher along with it. The issue is that the voucher is in my wife’s name (as she has the premium card card) but she is on my house hold account. Would we still be able to get the tickets using the household problems or there can be problems? No problem if you are intending to travel with your wife. This is a really great tool – it has made life a lot easier the past couple of years. If I try MAN-LAX or MAN-BGI I get an error message. MAN-ATL and MAN-BOS work fine. Are these all direct routes? It can be slightly unreliable with anything not originating in that London though! It should work with any direct route – if you spot any that don’t work, drop me an email at [email protected]. Where did you get the information from about the up to £1.4m annual limit? Having a higher limit was the main reason I signed up for the Metal card. Had cash advance problems with curve. Not too worried in UK . hope it works in Canaries next week. Any others having problems? Used Revolut for cash withdrawal last month in canaries so can’t comment on that but for normal spending I found curve worked fine over there. In an email from Curve’s marketing head. Curve’s compliance team also saw the article before it went up, because the new website wasn’t live at the time I wrote it and I couldn’t independently verify everything I wrote. They made some corrections but not to the limits section. Hey Rob, thanks for the quick reply. Curve just seem to make up the rules as they go along and don’t care about misleading their customers sadly. Curve should just stick to a basic product and make it excellent. What’s going on? Curve and it’s CEO have gone quiet. Their social media team are pushing the £150 metal cards like crazy and social media is ablaze with rumours that they’ve run out of money. They’ve confirmed in a conference for previous Slack community members that they have these limits on paper but are yet to work out the roll-out process for offering them to customers (both the KYC side and whether they link some higher limits to higher tiers). Am I correct that on BA Economy Basic tariffs in Europe I can not select a seat in advance if I am on a Bronze tier? …or earlier if you have a BA connecting flight? Agreed, but this site shouldn’t be a one trick pony. What premium travel benefits? Serious question. OT again – I’ve just redeemed my “bonus” Lloyds upgrade voucher (see earlier post) for MAN-LHR-VIE next December. Very nice CSA assured me both legs have been upgraded to CE. I’ve not had the email confirmation yet but paid £100 RFS fee which would be right for 4 x CE legs, plus 21,000 avios. Good result and glad they did all legs without quibble, wish I’d been selected for one of these bonus vouchers! Go via LEVEL in Premium Economy from Paris? They serve Montreal but not Toronto. No longer possible, they now add on ridiculous fuel surcharges – tried three different agents so things must have changed. Ouch – i may have to do the same. Interestingly, the jet airlines works via delta.com if you have SkyMiles at 40,000 Miles plus €24 in taxes for economy. Couldn’t see availability for business on my dates. Delta is a 1:1 Amex transfer remember. data point – thought i’d try once more – an agent priced it up at 20,500 miles in economy plus £20.40 in taxes… until the death when a colleague pointed out the $160 fuel surcharge…. Think the person in the original article must have got an agent that missed this off by mistake. I’m wondering if someone can help. Are there any advantages or disadvantages of booking two one-ways using virgin miles? At the moment, the outbound I want is available, but not the inbound. I could hold the outbound (one way) and wait and hope for the return to become available.